Following the property price crash came the bargain hunters. TV programs told us all how cheap property was and that if you offered 40% below the asking price the vendor would happily accept the offer with a smile. Reality was somewhat different. The real bargains went early. Vendors that needed to sell up for genuine reasons priced their property to sell quickly and sold. Those that were in negative equity but could no longer afford to keep the property handed keys back to their bank, hopefully negotiating that as being in final settlement of their debt. Many back repossessions were stripped of anything valuable/saleable before the bank took possession. The banks offered all the properties to their list of investors first and those turned down stayed on their books. But banks didn’t pay utility bills or community fees, (or any other bills either! ), so services to the properties were disconnected, gardens became overgrown and the properties fell into general disrepair. Often these properties are in ‘difficult to sell’ area too, hence the reason why the original owner couldn’t sell it themselves. Whatever property you buy the chances are that at some point, probably years into the future, you will want to resell the property so, strange though it may sound, that is a factor that always needs to be considered when buying. If the investors are not interested, the original vendor couldn’t sell cheap and the bank have had it on their books for a few years at a low price with no buyer, then the chances are it will always be a hard property to sell. There are always, in any market, good value properties and we search those out for our clients. But remember that not all cheap properties are good value. Description: Sitting on a large plot and boasting lovely views across the Murcian countryside, this finca offers 2 spacious living rooms, a separate kitchen plus 3 double bedrooms and a bathroom on the ground floor, and upstairs there is an en-suite master bedroom with sliding patio doors leading out onto the balcony which has a staircase leading up to a private roof solarium. Massive potential - A must view property. As house prices had started to fall in 2008 and the exchange rate plummet there appeared yet another obstacle to buying in Spain. The Spanish banks all but stopped lending money to anyone, mortgages became at best very difficult to find. This further fuelled the price decline. Desperate sellers were willing to take sensible offers for their property, fearful that they wouldn’t get another for a year or more. So if you were a cash buyer looking for a long-term investment it was a good time to buy because there was no shortage of bargains. 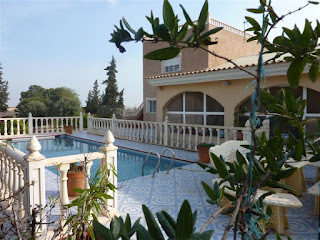 By 2010 the pace of the slide had started to slow down and by 2012 in the south Costa Blanca there were already indications that the end of the property slump was just around the corner. Not so in other parts of Spain however were prices in some areas were still declining at an alarming rate and where rows of new, abandoned, never been occupied apartments stood amongst the cracked deserted roads and weed strewn gardens like a post apocalypse scene from a sci-fi film. When we began Spanish Dream Property in 2010 we knew it was a difficult time to start a property finding business, after all there were still estate agents closing down through lack of business. However we figured it was actually a good time to start as we were there for the buyers, not the sellers. There has never been a shortage of those looking to buy in Spain, and certainly still isn’t. Perhaps a little absurdly, it is true to say that the property crisis was actually good for the industry in some ways, with those only out for maximum profit shutting down, big viewing trip businesses scaling back dramatically on their operations and construction stopping. It gave time for the industry to breathe and take stock of what had happened for the past decade or two and actually do a bit of long-term planning. In the rush to get to the beach and pool it is easy to overlook some of the most obvious tourist sites. After landing at Alicante airport most people either head south down the N332 towards the resorts and golf courses of south Costa Blanca or up the A7 motorway, around Alicante city, to the mountains and coastal towns in north Costa Blanca. But what about Alicante itself? It was many years after first landing there that we ventured into the city. I’m not a lover of large British cities despite living on the edge of the city of Norwich. But there are large towns bigger than Norwich, and there are few high rise buildings so it doesn’t feel like London or Birmingham. Alicante too is, like many Spanish cities, quite small scale. Also like other Spanish coastal cities it has sandy beaches, tourist hotels and an old castle sat on the hill on the sea front. Castillo de Santa Barbara is definitely worth a visit. You can either walk up to the castle from the car park at the back or go up a lift inside the cliff via a long futuristic tunnel leading from the sea front. Like all attractions in Spain it is not very well signposted, so give yourself time to find it! You can hire a recorded tour guide in English, well worth the few euros it cost, as the castle is steeped in history and went through several changes over its centuries of use. Alicante city is a clean and lively place, with an old town of narrow pedestrianised streets and cultural museums. You can take an open-topped tour bus around the city or just meander on foot. The famous mosaic walkway along the coast road is designed to look like waves, I haven’t a clue how many billions of tiny tiles were used to make it, and it is lined with giant trees – who would have thought the rubber plant in the corner of your lounge could ever become that big? Alicante city is worth a day trip or a long weekend visit. PART 40 An Ex-pat, not an immigrant! The British way to get yourself understood abroad seems to try first in normal English, when that fails we try speaking very loudly and slowly, but still in English. For reasons beyond normal rationality we figure that will work. Why? Is it because we are rude and arrogant or is it because learning another language in school in the UK is not prioritised or valued enough? The Scandinavians almost grow up bi-lingual, learning English alongside their native tongue from kindergarten age, and many, as a result, seem adept at learning other languages too. My multi-lingual friends and acquaintances all grew up bi-lingual whereas here in the UK it often high school before learning a foreign language is taken seriously in education. The hypercritical way some Brits abroad defiantly, almost triumphantly, live in Spain for many years without bothering to learn more than café con leche or cerveza, or speak only their own ‘Spanglish’, never ceases to amaze and dismay me. They are the first to criticise the immigrants in the UK who don’t speak English within three weeks of arriving; but an Englishman abroad is not an immigrant, an Englishman abroad is an ex-pat! However after years in Spain, having lived in their ex-pat (immigrant) community, drinking and eating in bars with only English speaking or ex-pat (immigrant) staff, and dipping into the odd Spanish fiesta or parade only when attending with a group of other ex-pats (immigrants), they can come unstuck. It’s when the difficult things in life happen, like illness, that they realise they are actually living in a foreign country (they are an immigrant!) and the nurses don’t all speak English and you have to pay for an interpreter or rely on ex-pat volunteers who did learn the language (immigrants who have integrated better!) to come to your rescue. One day, if you live in Spain, you will wish you had bothered with Spanish, so why wait? You may even find you enjoy living the dream a lot more through being able to live a fuller and more integrated life in the sun. Description: This wonderful 3 bedroom, 2 bathroom detached villa is located in Atalaya Park, Benijofar within walking distance into the centre of Quesada and all local amenities. To say the first year was a steep learning curve is probably an understatement. We needed to find the right places to advertise and promote our service and we made a couple of expensive mistakes even applying the lessons learned about targeted advertising from our other business. Our web site was, and still is, designed and hosted by an English guy living in Spain. This was cheaper than having someone in the UK design it but it also meant he had a better understanding of what it needed to achieve as he already had several estate agents as clients and understood the need for being able to use feeds from other sites that were in different formats and could talk in ‘tech language’ to Spanish as well as English designers of those sites. Maybe it’s an age thing, but computers are as alien to me as Martians! I went to a school that was considered privileged for having one computer – it resided in a special computer room and took up almost the entire room! However by the end of that first year we had happy clients, which was our objective. 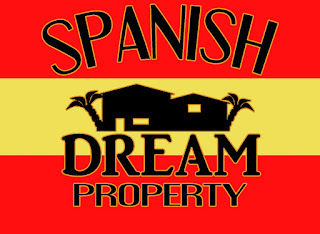 The recession was biting hard, house prices in Spain were still falling, Spanish mortgages were by then almost impossible to obtain and austerity was the new watch word, so we figured happy clients was pretty good going! On a sad personal note, having beaten cancer previously, my now 78 year old Dad was diagnosed with leukaemia in October 2010. During his treatment complications of facial skin cancer developed, a terrible battle that he could never win. I cannot fault the care he received over the next three years from the Spanish health service and Denia hospital. He was always treated with respect and dignity. Healthcare in Spain is something all those planning to relocate need to consider. The equivalent of the NHS in Spain is good, ranking well in the EU tables, but it is not freely available to all who move there. Rules change, and have changed since we first made our plans to relocate, and that has forced us to change our plans accordingly. Check-out the situation for your personal needs before making the move.